As you can see, the new sod looked great! 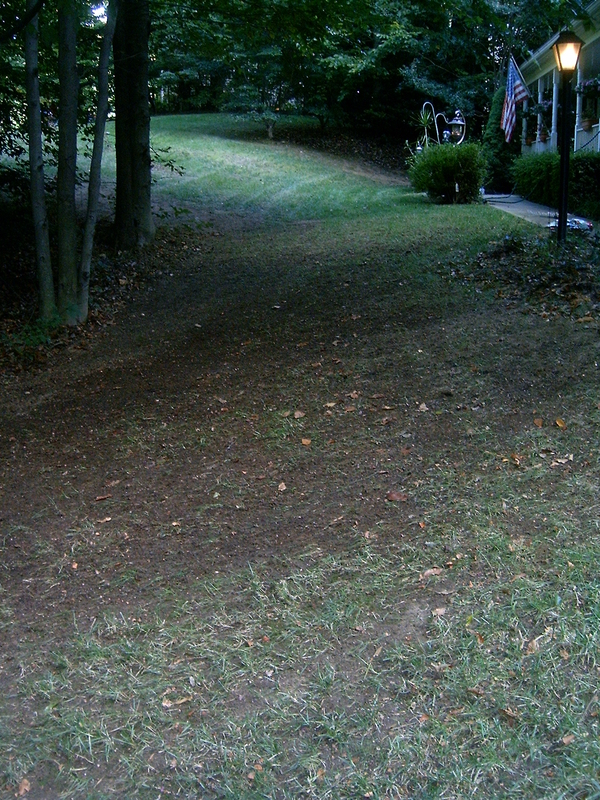 I kept it watered and maintained it as instructed, but just a few months later, the grass thinned and some areas were already bare. I don’t want to invest in new sod (at least not twice in the same year), so I have decided to do an experiment by buying two different grass seed products to see how they compared against each other, both in short-term and long-term growth. I will post which products I choose and monitor their performance. 1) Barbara Padilla – A fantastic opera singer who I believe would be an instant hit on the Vegas strip. 2) Fab Five – These sisters are perfectly in sync as they tap across the stage. Their energy and personality could make for a great show. 3) Recycled Percussion – They are probably be the best “Vegas Ready” group in the finale. If you love drumming and an active stage performance, you should tune in and watch. 4) The Texas Tenors – They say they’ve only been together for a few months, but these three guys are well matched vocally, and they look like they are having a good time. The should be able to sell out their performances if they were to win. 5) Kevin Skinner – Now I will admit, I’m not a big country music fan. However, he does a wonderful job with singing with emotion, and he could easily draw a crowd with the large country music market out there. 6) Hairo Torres – This guy cracks me up! It is a trip to watch him dance, but I don’t think he could carry a full 60 minute program. Plus, I wonder how long his body will last with some of those landings he makes during his performance. 7) Drew Stevyns – What Lawrence Beaman lacks, Drew has. He might not be the best singer, but he sings with a lot of heart. 8 ) The Voices of Glory – I should really have them ranked last, since I think they are too young to work on the Vegas strip. However, the trio sign well with each other, and probably have a lot of potential in the future. 9) Grandma Lee – While she is a unique act, I just haven’t found any of her material since the first show funny. Plus, I fear how her health would hold up to the stress of multiple shows. 10) Lawrence Beaman – My problem with Lawrence is that he seems more like a technical singer and not an emotional one. If he could get some more soul in his performance, I would have him ranked much higher. As you can tell, I have done some “spring cleaning” this week by deactivating and/or deleting websites that I have verified as “spam.” Please note – while I don’t mind you creating a blog on here to advertise or sell a product, I do mind that if you are just cutting and pasting content from one site and adding it here. If you are creating a mirror-site, that is different (just label your blog as a mirror site, and that you are the originator of that content). You are currently browsing the MODU's Musings blog archives for September, 2009.